We ship select Sundance parts with FREE GROUND SHIPPING with a $4.95 handling fee on all orders (Contiguous U.S. only - Alaska and Hawaii are excluded from Free Shipping). This means that for the entire order placed (not per item), you will be charged a $4.95 handling but will not pay any Shipping Charge for Ground Shipping on Sundance Spa parts only. If you qualify for FREE Shipping but your order contains one or more ineligible (Non-Sundance) items, you’ll be charged shipping fees for those ineligible items only but not the Sundance Items. Sorry, we do not ship to Canada or outside of the USA or accept payment from Canadian or none USA billing based credit cards. Due to logistic issues, we do not ship to Hotels/Motels if you are visiting the US and wish to purchase items. If the item comes back to us undeliverable, we will have to charge for the Shipping and Handling Cost incurred. PLEASE NOTE: If you qualify for FREE Shipping but your order contains one or more ineligible (Non-Sundance) items, (such as chemicals) you’ll be charged shipping fees for those ineligible items only but not the Sundance Items. Please Note: With FREE Shipping and we choose the carrier (UPS, USPS or Fedex). Our system will always say UPS Ground we choose the carrier . To expedite shipping, we reserve the right to ship UPS, UPS Surepost, Fedex or USPS. 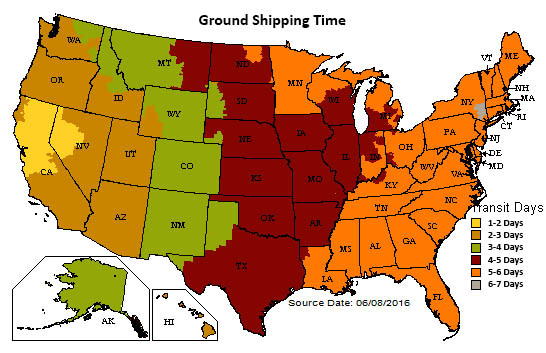 If you select 3 Day or 2nd Day Service we will ship in that time frame from one of our carriers. Some smaller Sundance Parts may ship via US Postal Service. Most orders are shipped within 24 hours. You can expect to receive your order in 2-6 business days depending on your location. All Carriers can experience delays due to weather conditions, sorry there is no reimbursement for weather delays which are beyond our control. How do I calculate when my order will arrive ? To estimate when your order will arrive please utilize this information: Do not count the day you place your order as a shipping day. Remember that orders placed after Noon (Pacific Standard Time) Monday through Friday will not ship until the next business day so you must count the next business day as your order day. UPS Shipping calculations of generally 1-6 Business Days start with Day 1 being the Business Day after your order is placed. Business Days are considered Monday through Friday since UPS does not consider Saturday or Sunday as a standard shipping day. We primarily ship from our California Warehouse and time estimation should be done from California to you. Example of when your 3 Day Select order will arrive: If If you order 3 Day Select by Noon (PST) on Tuesday then Wednesday is day 1 for Shipping so your order should arrive to you on Friday. If you order 3 Day Select after noon on Tuesday or on Wednesday before Noon (PST) it won't arrive until the following Monday. Thursday would be Day 1 of shipping. UPS does not count Saturday or Sunday, so Day 3 would be Monday (unless there is a holiday on Monday which would make Tuesday Day 3). Example of when your 2nd Day Air order will arrive: If you order on Wednesday by Noon (PST) then Thursday is Day 1 and your order should arrive by end of day Friday. If you order 2nd Day Air after Noon (PST) on Wednesday or on Thursday by Noon (PST) your order will not arrive until the following Monday. Day 1 of shipping is Friday. UPS does not count Saturday and Sunday, so Day 2 would be Monday (unless there is a holiday on Monday which would make Tuesday Day 2). Please note: that if you provide incorrect Shipping Address or if your Part is not a commonly stocked item then your order may take longer than the above estimates. If you provide a wrong address or contact the carrier to reroute, the carrier may assess an additional charge and you will be responsible for any charge that is assessed. We do make every effort to stock most Sundance Parts. Holidays are not counted as Shipping Days either. Our shipping system is real time and it will automatically email you after your package has been filled and shipped. Alternatively, you can check your order status online. To find out your tracking number please click the customer login link at the top of the page and choose order status. Although you may receive the tracking number for your order it does not necessarily mean it has been picked up yet. We are on a real-time shipping system and e-mail you the tracking number as soon as your order has been filled and scanned into our system. Because of this your tracking number may not track properly right away or it may show an invalid tracking number. This is because the carrier has not yet received the package from the pick up location even though it has been assigned a tracking number. If your tracking number still does not work 48 hours after receiving it please e-mail us at questions@spaandpoolsource.com or fill out the contact us form located at the top of the page. We do not currently ship internationally; we only deliver to locations within the United States (including Hawaii & Alaska). All customer information provided to Spa And Pool Source for the purpose of ordering and correspondence is held in the strictest confidence and will not be released to any other party.